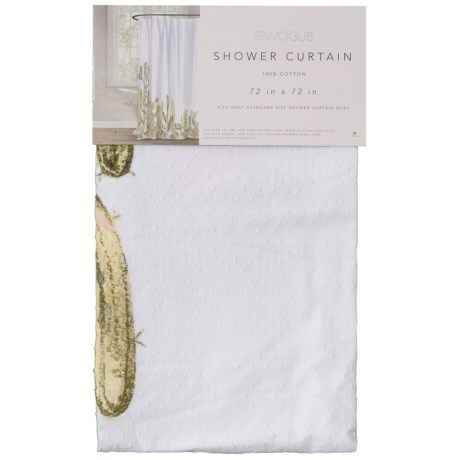 Cactus Swiss Dot Shower Curtain - 72x72? CLOSEOUTS. Crafted of light, woven cotton with swiss dot texture and beautiful cactus print, EnVogueand#39;s Cactus Swiss Dot shower curtain adds a soft touch to the most-used room in your home. Available Colors: MULTI.